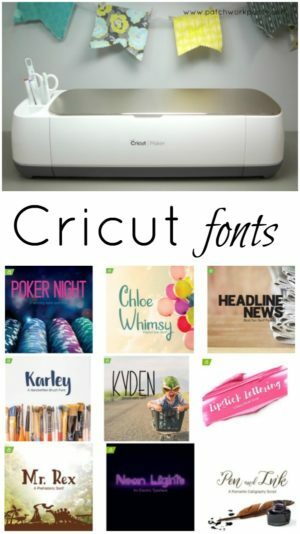 I’ve been having some fun with the Cricut Maker lately! 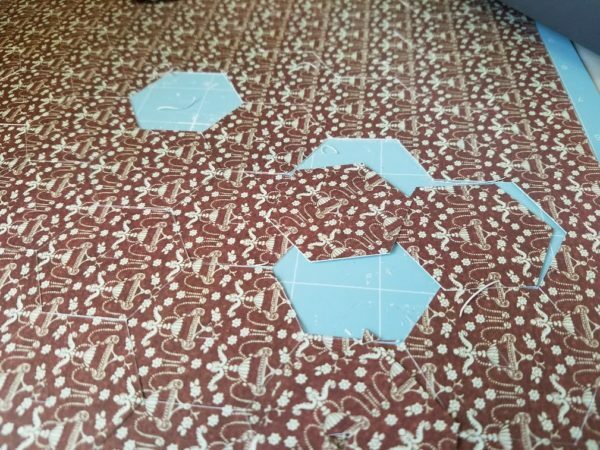 I thought it might be fun to cut out some English paper piecing templates— hexagons! with it. It really worked out great. 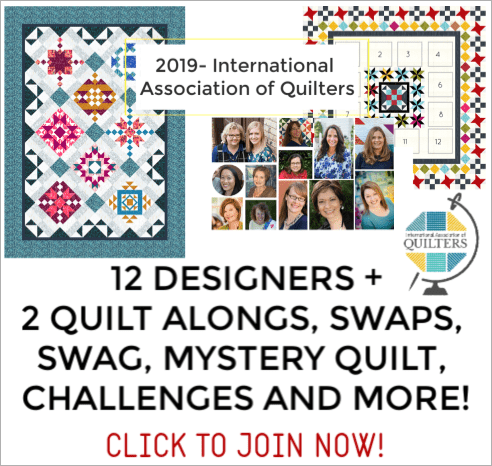 You will want to give this a try! 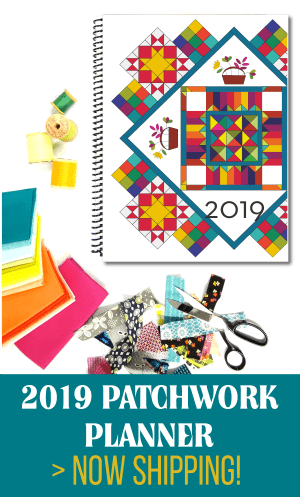 Make your own English paper piecing templates in all shapes- hexagons, diamonds, polygons and more. Endless possibilities. 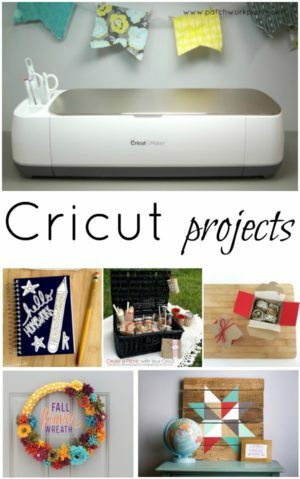 You’ll be shown how to use the shapes option for the Cricut, adjust the size, duplicate and then cut. Easy to customize your shape and size. I did end up placing an additional shape in the center of the hexagon so that they are easier to remove after being stitched together. 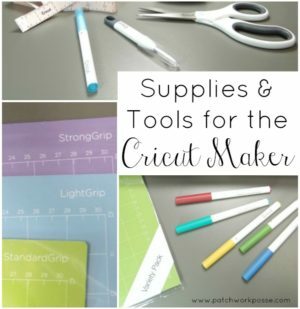 You can also decide what paper thickness you are going to use for the templates. 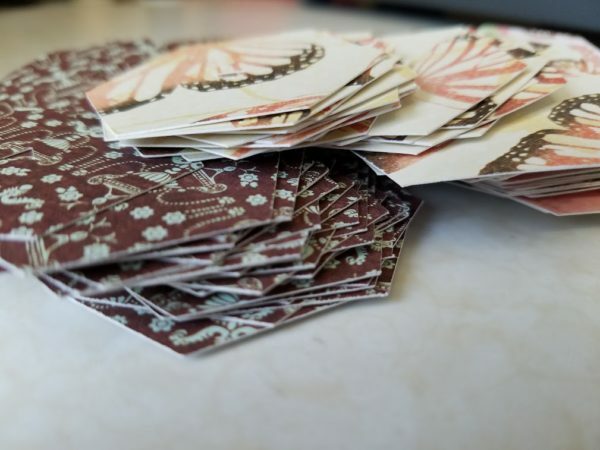 I went with a scrapbooking cardstock– not quite the heavy cardstock. 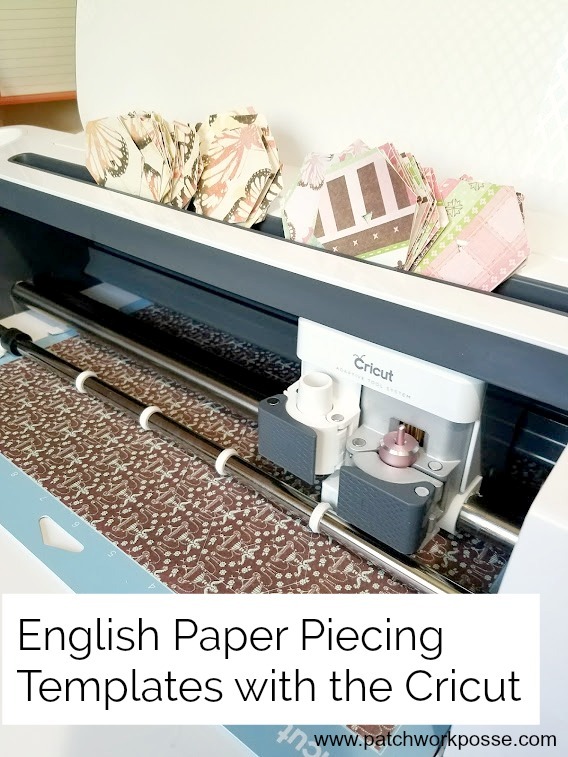 You can use regular paper or scrap paper as well. Seriously in no time flat I was able to cut out more than enough for the class were were having. I loved how simple it was and how many customization’s I can really have with them! They were easy to pick off of the cutting mats as well. They did end up with a slight curve to them, but giving them a slight bend back was all that was needed to fix that. Not a big deal. 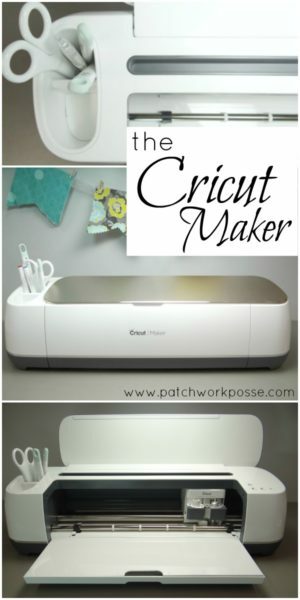 I’m super excited to do a few more things with the Cricut Maker – and possibly some more hand sewing as well! 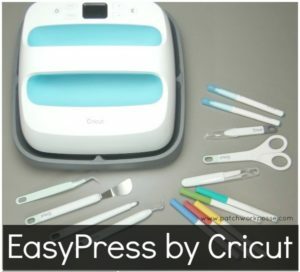 no cricut in your home? no worries! 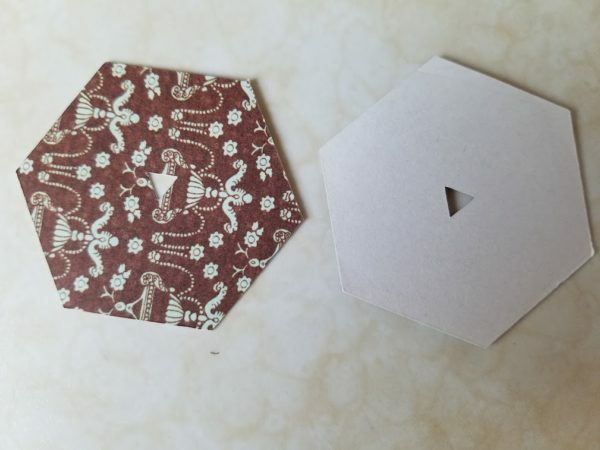 Pick up a printable and self cut hexagon templates here in the shop. 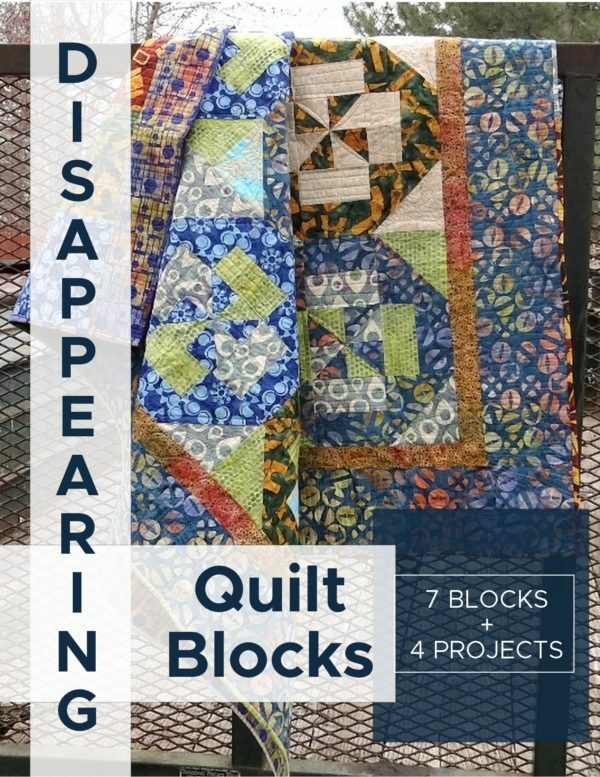 Great Additional resources for English paper piecing. 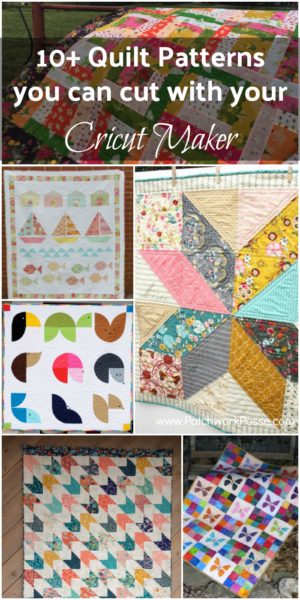 More English paper piecing videos here. 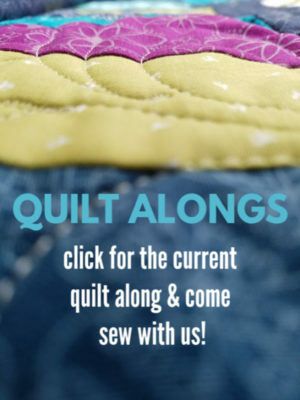 Quilters knot video tutorial if you like starting your stitching with a knot.